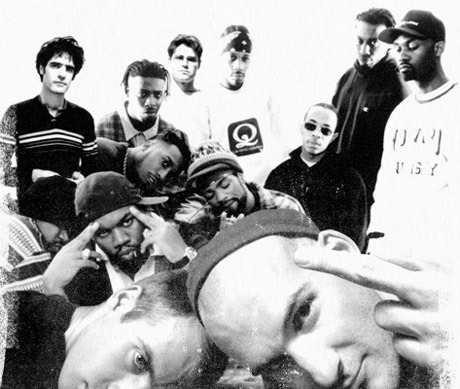 Combing Wu-Tang with Fugazi? It works so well you can’t help but wonder why a mid-90’s tour never happened. Minneapolis based Doomtree (under the moniker Wugazi) have steadily been releasing remixes of Wu-Tang and Fugazi for the best few weeks in anticipation of a July 13 drop of 13 Chambers, which will showcase ten more innovative tracks in addition to the three already released on their Soundcloud page. Although “Forensic Shimmy” might win best title, “Sleep Rules Everything Around Me” (the integration of “I’m So Tired” with “C.R.E.A.M”) proves to be Wugazi’s standout thanks to the combination of Fugazi's haunting piano melody with “C.R.E.AM’s” inedible flow thus fusing two of the nineties most momentous musical acts. When not eating borscht alone in the park, Stephanie writes about D.C. & Chicago music in Embryonic Capital and From Chicago With Love.